Find out what Alabama is doing in its gameplan preparations for this week’s game by reading my Quick Hitters. 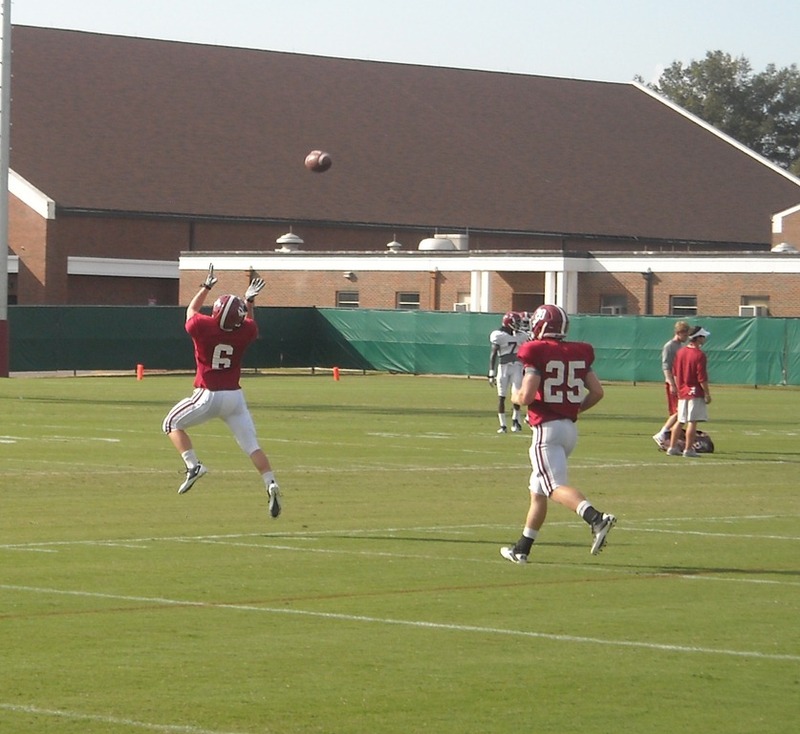 I update you on the status of AJ McCarron, Eddie Lacy and more in my Quick Hitters posted on BamaHammer.com from Alabama football practice today. What NFL general manager was watching practice today? 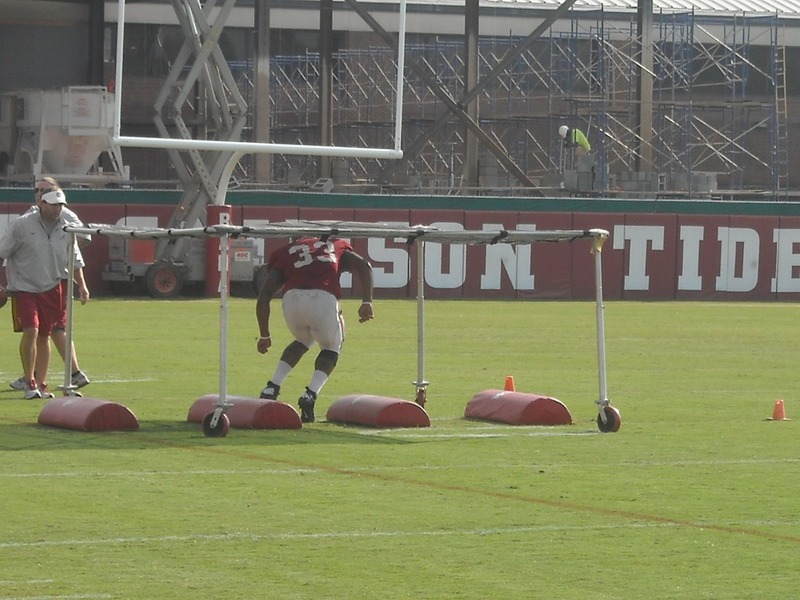 FInd that out plus the other scouts that were in attendance and what the Tide seems to be expecting from Missouri in my Quick Hitters from Alabama’s final practice availability. 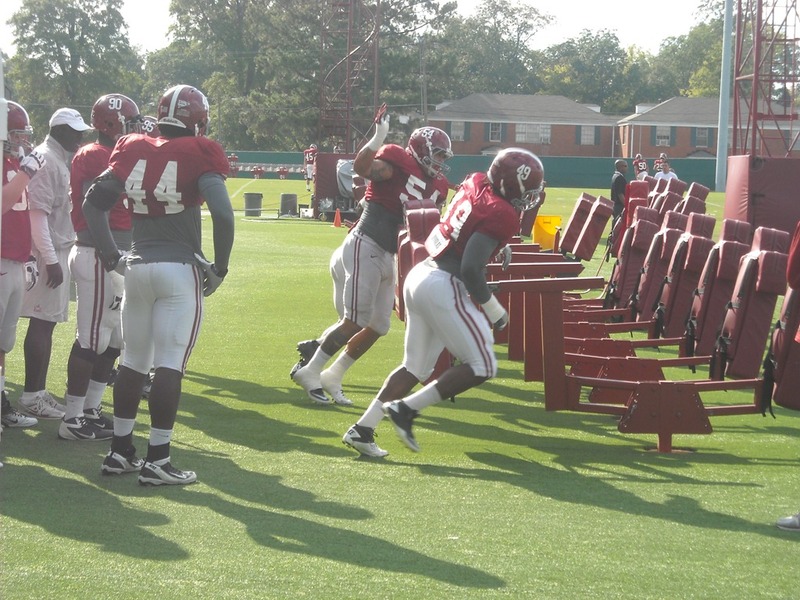 Get the updates on the injuries to Kevin Norwood and Deion Belue, plus what the Tide defense is doing to gameplan for the Missouri Tigers offense in my Quick Hitters from Alabama football practice today. Who was wearing the wretched black jersey and restricted to the exercise bike today? 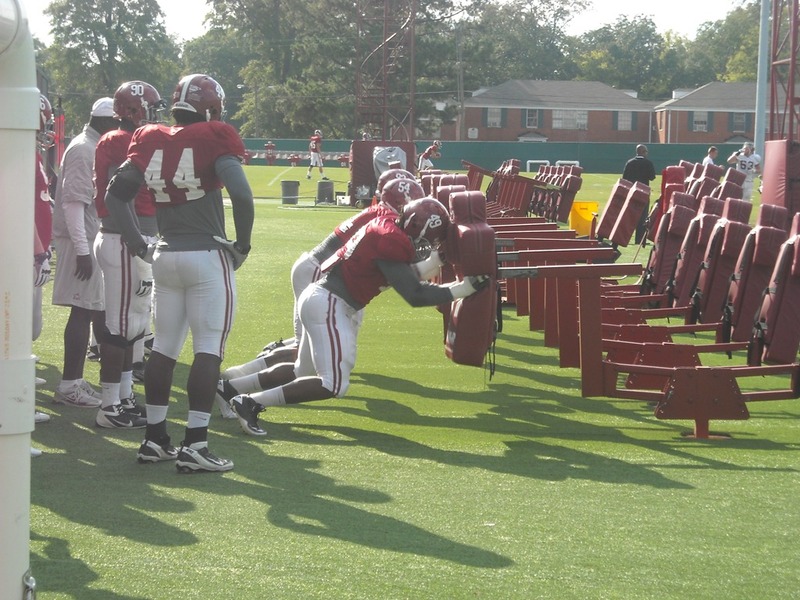 Who is getting the second reps behind the starting linebackers? Find out that and more (plus a picture of the man on the exercise bike) in my Quick Hitters from today’s football practice. Alabama practiced in full pads for the final time before the media in preparation for the home SEC opener against Ole Miss. I put together a Photo Gallery from practice today. 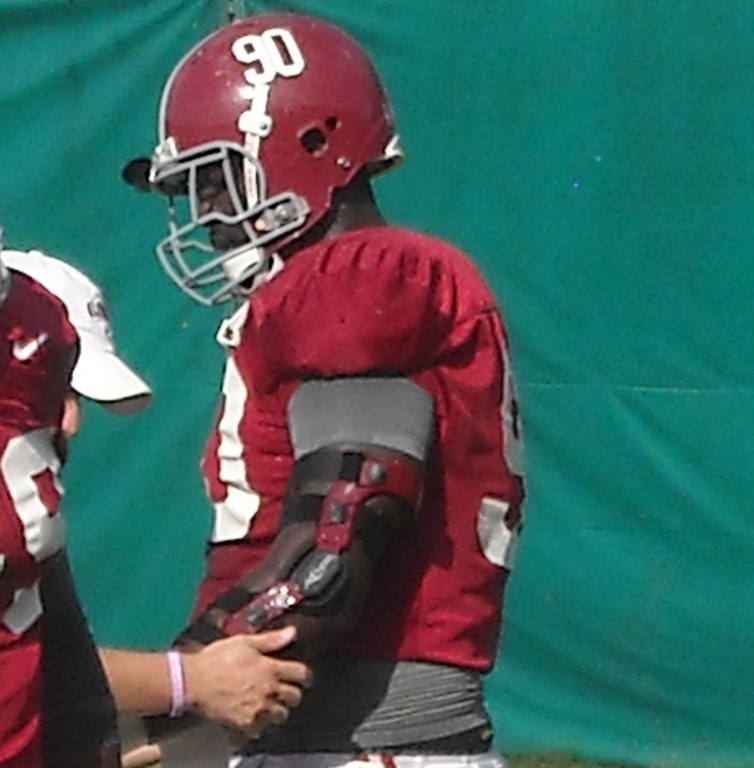 You can also read my Quick Hitters from today’s practice here. Below are two pictures of the defensive line drills and one more of Quinton Dial in the elbow brace described in the Quick Hitters. 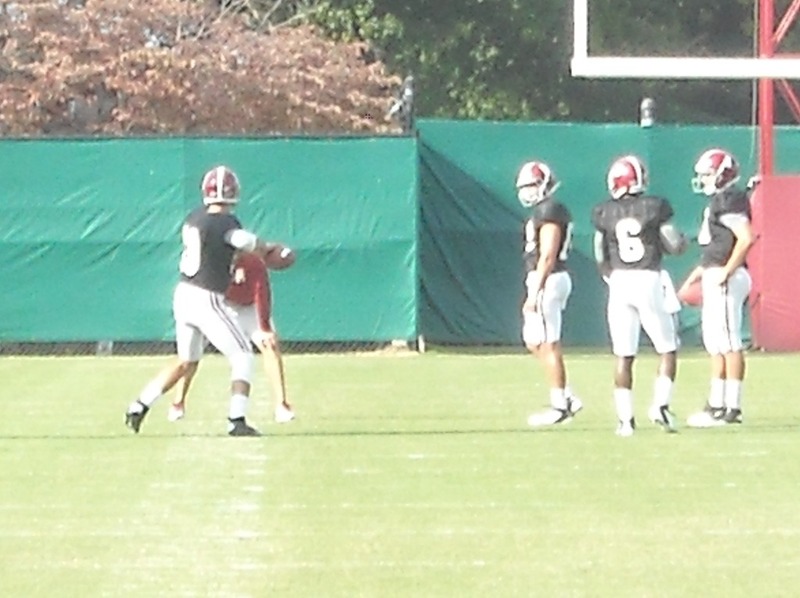 Also, the quarterbacks and defensive secondary went through the usual Wednesday practice. 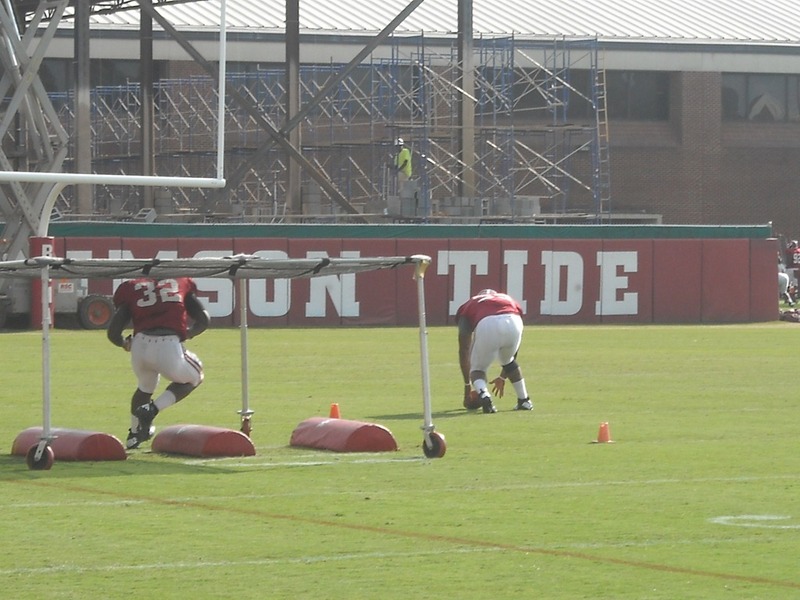 Finally, the linebackers worked on pad level and picking up loose balls in the individual drills portion of practice.